Just yesterday I answered a question on LinkedIn related to new scams that are circulating on the Internet. 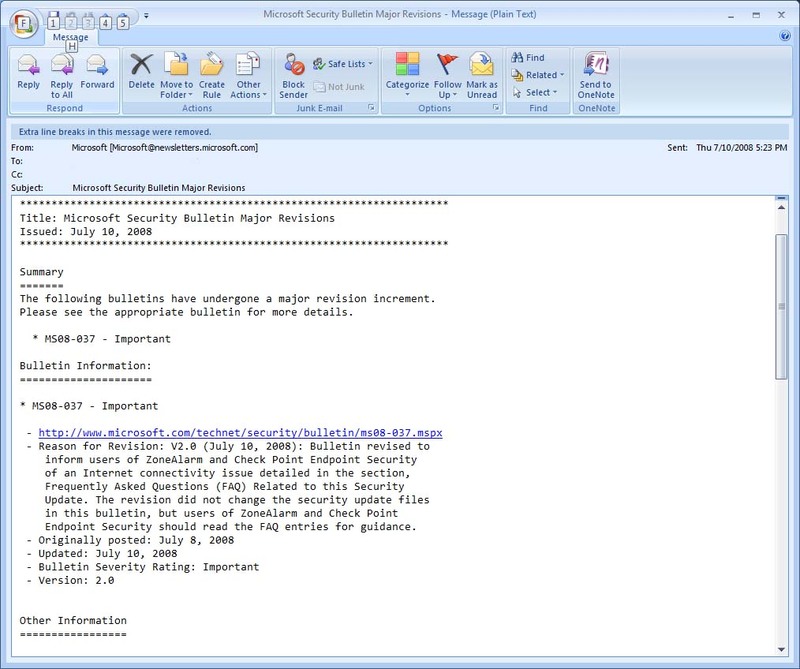 Not less than 24 hours later I saw something that was new, creative and likely to cause some damage as it actually harbors the payload Win32/Kryptik.TL – a Trojan Horse Virus that as of 6/24/2009 is not circulating much. 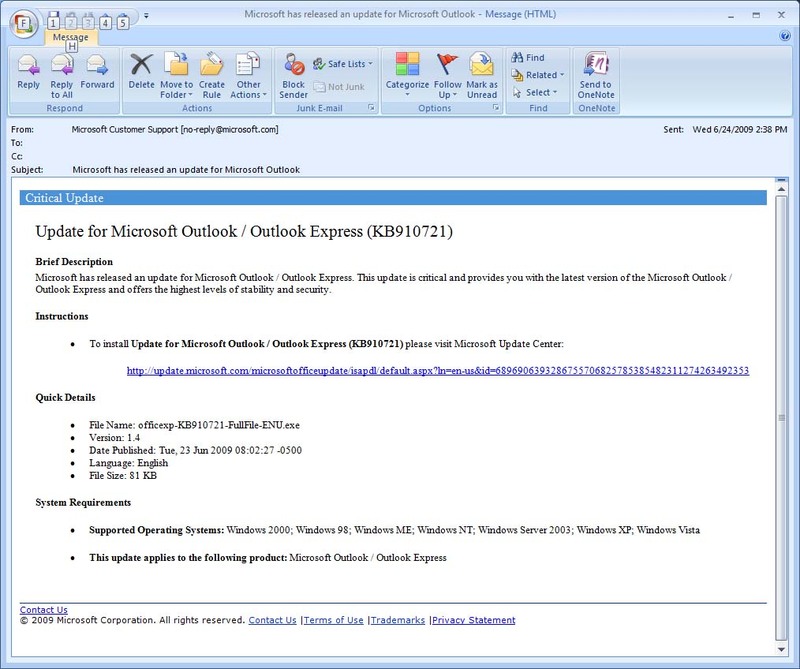 While the format they sent has the Microsoft look and feel (Top Image), it does not duplicate the email format of Microsoft notices (Bottom Image).